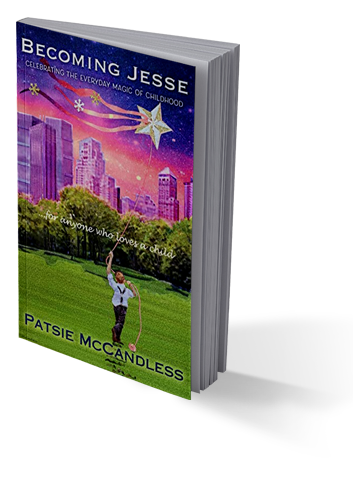 Becoming Jesse tells the story of a six-year-old orphaned boy of comic charm, simplicity, and soul-lighting wisdom. Jesse O’Neil lives in 1950s New York City with his beloved grandmother – Dearie – a once-upon-a-time Irish gypsy, who runs her own theater; and his young uncle Conor, who is studying to be an actor. Filled with shenanigans, drama and mystery, Jesse’s young life swirls through a melting pot of apartment characters: an enchanting old storyteller, a jolly Tugboat captain, a spiteful old lady, playful children, and an unsavory character, who smells of trouble. ​​Theater, music, classic literature and gypsy storytelling play their parts to the hilt, as Jesse’s quest finds the true meaning of blessings, fulfillment, and the magic of our inner light. "This book is sure to become a new classic. The characters come to life, like old friends you just can't wait to visit." "Becoming Jesse is a creation of new and very rich words; a very imaginative way into magic and wonder." "This tale of Becoming Jesse is wholesomely addictive." "Oh, I don’t want to ever finish Becoming Jesse! I could keep reading it forever and ever. Day after day, just like Jesse lives day-by-day in imagination and inspiration inside his wondrous ‘glintaling’ inner lights." "Becoming Jesse has so much action, color and light... all woven into a great tale. Thank you for warming my soul." Children's Author "Stop Means Stop"